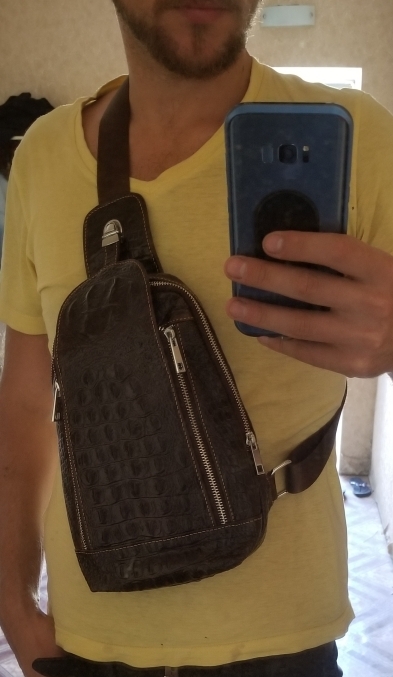 This Men’s Small Alligator Vintage Leather Crossbody Bag offers loads of style, as well as a good storage solution for the busy traveler. 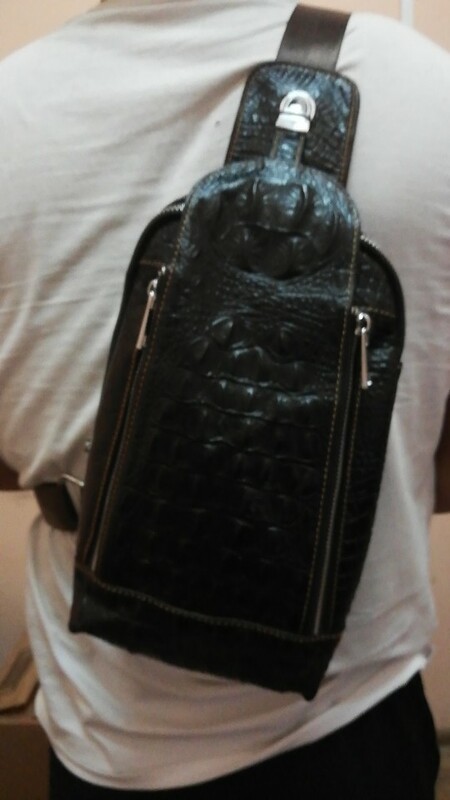 The front flap comes in an attractive alligator skin pattern and attaches to the back tab. It features two vertical zippers that open to provide you with total access to the exterior compartment. Use the back zipper pocket to store cash or other essentials that require immediate access. The top comes with one zipper, which opens up to reveal a zipper pocket and a roomy interior and the adjustable strap allows you can sling the bag over your left or right shoulder, it’s up to you. Computer display settings vary. Therefore, there may be a slight difference in the color of the real product. Thank You! Product complies with the description. I do not think that it is the skin of a crocodile but it looks like the photo. Packed well, quality at an altitude of, delivery fast. Very satisfied with the purchase. My wife this chose this bag as a gift. Person loved it. Convenient, beautiful and well made. Highly recommended. Cool bag. AND very high-quality sewing. Took a week for delivery. Cool backpack! High quality. Uniquely recommended! I received the goods. It is wonderful!